The trigger threshold can be manipulated through manually controlling the microphone’s gain or amount voltage transferred to the amplifier –Potentiometer to IC–. 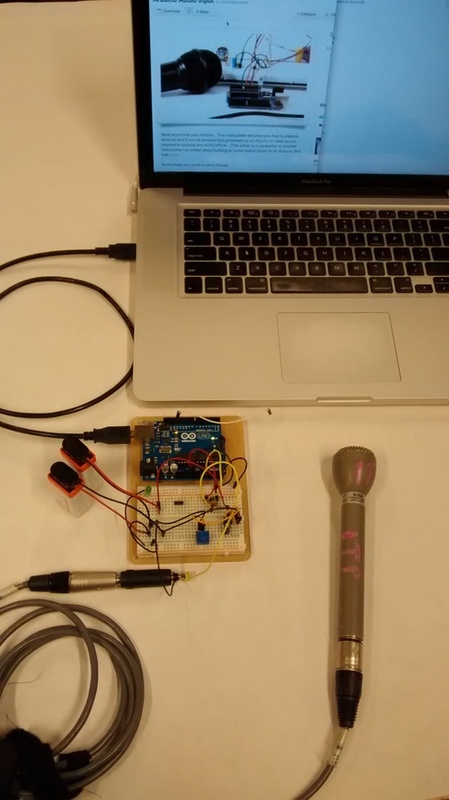 By manipulating this potentiometer, the sensitivity of the microphone can be controlled. The tempo can be established through timing the trigger’s availability. By setting a timer that allows the a variable to listen again, the speed/rate at which the entire installation reproduces sounds can be established.